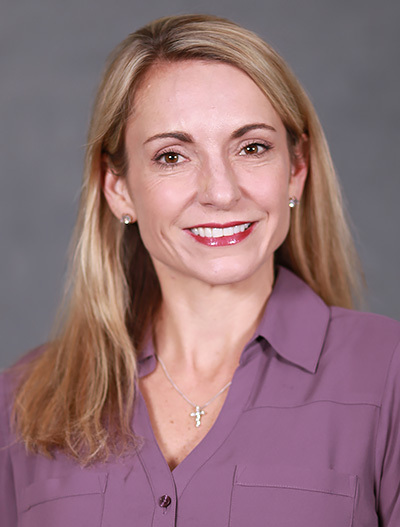 Dr. Rayme Edler became medical director in early May 2018, responsible for overseeing all county medical staff under EMS and the county jail. 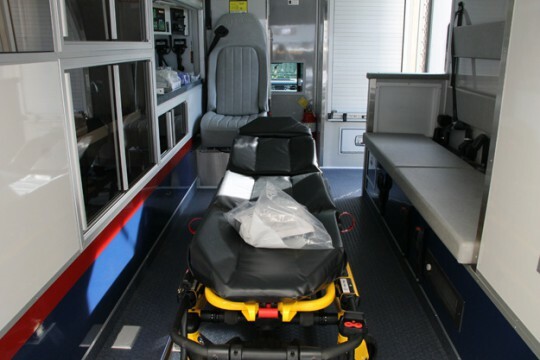 Escambia County EMS operates under her medical license. In a June 2018 internal memo, Human Resources Director Eric Kleinert informed then Public Safety Director Mike Weaver about his review of EMS complaints. Kleinert stated that he had completed his review of “competing complaints” between Edler and four members of EMS administration — then EMS Chief Steve White, Section Chief Kate Kenney, Commander Rebecca Brownfield, and Captain Jim Bonoyer. “At present, the complainants have contributed to the establishment of a dysfunctional professional environment within EMS. None of the parties are satisfied with the current arrangement and wish to have the situation cured. Therefore, I will focus on the way going forward based on the observations I have made on the situation,” Kleinert wrote. Kleiner recommended a course of action to resolve the issues, including a better understanding between all parties of responsibilities and levels of authority. “This is to include the supremacy of the Medical Director’s authority in matter under her purview,” he wrote. The HR director also recommended that Weaver review “the culture associated with the paramilitary organizational structure that has been recently adopted by EMS”. White resigned less than two weeks after the June 2018 memo. Fire Chief Rusty Nail was named EMS chief after White’s resignation. Nail submitted his resignation this month. Weaver resigned earlier this month, and Kleinert has submitted his resignation effective May 17. There has been no connection, if any, made public between the resignations and the memo. According to a report aired earlier this month by NorthEscambia.com news partner WEAR 3, Edler filed a complaint last month with the Florida Department of Health with concerns about department protocols, missing signatures on IV certifications and falsification of credentials. NorthEscambia.com has requested a copy of the letter from the county, but we have been told it is not public record. “While I am aware that the local tv station did televise a letter dated March 19, 2019 to the State Dept. of Health, I consider that document to be confidential and exempt from public records disclosure at this time as a pending agency investigation record. The letter and complaint associated with that matter are exempt until further action of the agency involved,” County Attorney Alison Rogers wrote in an email to NorthEscambia.com on Tuesday. 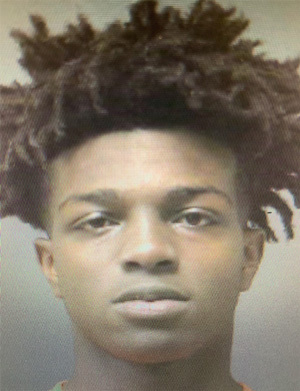 Jylyn Kevon Cooper, 18, was taken into custody at the scene of the search and charged with receiving stolen property fourth degree, receiving stolen property second degree, possession of marijuana and possession of drug paraphernalia, according to the Atmore Police Department. A unnamed 17-year old juvenile was also charged with receiving stolen property third degree. The charges stemmed from multiple burglaries in the Atmore area, according to Atmore Police Chief Chuck Brooks. He said authorities also recovered multiple stolen guns from a house on Brown Street. Multiple weapons and rare coins were recovered from the Atmore burglaries and two burglaries that occurred April 12 on McElhaney Road in Bratt. Most of the items stolen from McElhaney Road in Florida were recovered in Atmore, according to Major Andrew Hobbs of the Escambia County (FL) Sheriff’s Office. He said Tuesday the agency was seeking arrest warrants in connection with the case. Authorities said the burglaries may be connected to at least one burglary outside Atmore in Escambia County, AL. Escambia Fire Rescue responded to the 50 block of Main Street in McDavid about 7 p.m. Monday. They found an adult male with burns he received from lighting a fire with gas, according to Escambia County. The fire was out when firefighters arrived. The man was airlifted as a “trauma alert” to USA Hospital in Mobile. The FHP said the driver of a white Ford Crown Victoria failed to stop before hitting a vehicle that was stopped for a red light. The Crown Victoria rear-ended a 2008 Chevrolet Uplander driver by 37-year old Sabrina Youtzy of Cantonment. The force of the collision pushed the Uplander into a 2017 Mitsubishi driven by 50-year old Vicki Ortega of Cantonment. 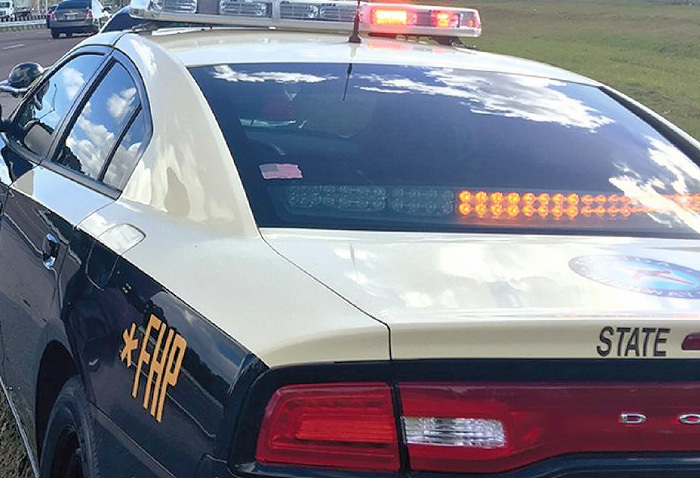 After the crash, the driver of the Crown Victoria pulled over, exited her vehicle and asked if everyone was OK before fleeing the scene south on Highway 29, according to the FHP. The hit and run driver was described as a black female, about 150 pounds, 5-foot 5 inches tall with short hair. Youtzy, a toddler in Youtzy’s vehicle, Ortega and a 5-year old passenger in Ortega’s vehicle were not injured. Anyone with information on the crash is asked to call Trooper Constance Knowles at at (850) 484-5000 or email constanceknowles@flhsmv.gov. “I have thoroughly enjoyed my years with the County and will miss the incredibly hardworking and talented employees. They are of the finest caliber, and I have always admired all they accomplish every day,” Lovoy wrote in her letter of resignation Monday afternoon. She worked for the county for nearly 20 years. “I find it difficult to continue performing my duties in a place where allegations of any variety can be made and reputations ruined before an individual is allowed to answer for the charges against them. Behind all the immediate distractions, I know the county is a better place than that,” Lovoy continued. Her last day on the job will be July 12. Earlier this month, Fire Chief Rusty Nail and Human Resources Director Erik Kleinert resigned. 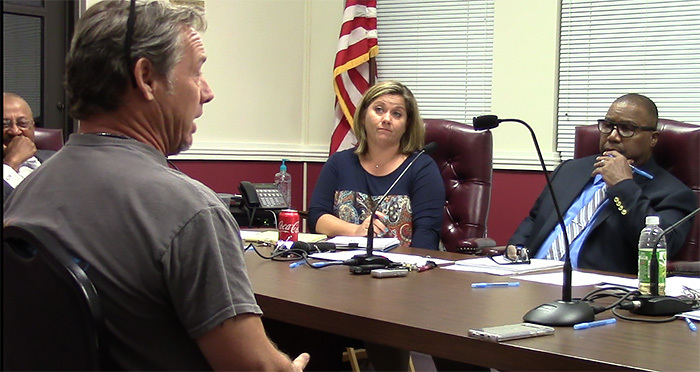 Public Safety Director Mike Weaver also stepped down after questions were raised about the county’s EMS department. Lovoy was named acting interim administrator after the Jack Brown stepped down from the administrator post due to his wife’s health condition. 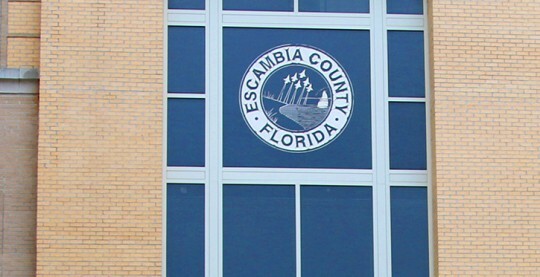 The county commission plans to interview the final candidates for administrator on April 29. Pictured: Interim Escambia County Administrator Amy Lovoy during a county commission meeting last week. Century Gas Superintendent Wally Kellett told the told council Monday night that 268 customers are not being billed each month for some combination of services including gas, water and sewer. He said there may be a few duplicates in the 268 number, but there is still a “significant amount”. Kellett, Town Clerk Kim Godwin and billing clerk Toni Simmons attended a two-day training on the town’s billing software last week in Texas and made the discovery. The training cost the town $4,000 plus travel expenses. Kellett said that armed with new training and insights into the software, the town should see the billing bottom line improve. In addition, he said a new gate station meter has now been installed to measure and verify the amount of gas received from the town’s supplier. A recent grand jury investigation found Century could not account for 40 percent of the natural gas purchased from their supplier. The gas superintendent also told the council that a new natural gas meter has been installed at the Century Correctional Institution, and it will lead to additional revenue due to more accurate billing. 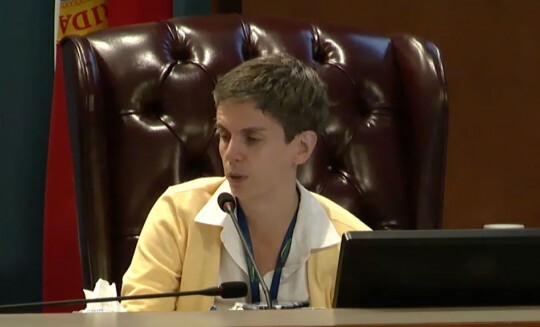 Under a provision of the contract between the town and the Florida Department of Corrections, Kellett said the state will be back-billed for additional gas believed to have been used by the prison. A grand jury investigation revealed Century’s gas fund lost $527,738 in the 2016 and 2017 fiscal years. Their report indicated that there were between 500 and 600 total gas customers. Pictured: Century Gas Superintendent Wally Kellett addresses the Century Town Council Monday night. NorthEscambia.com photo, click to enlarge. 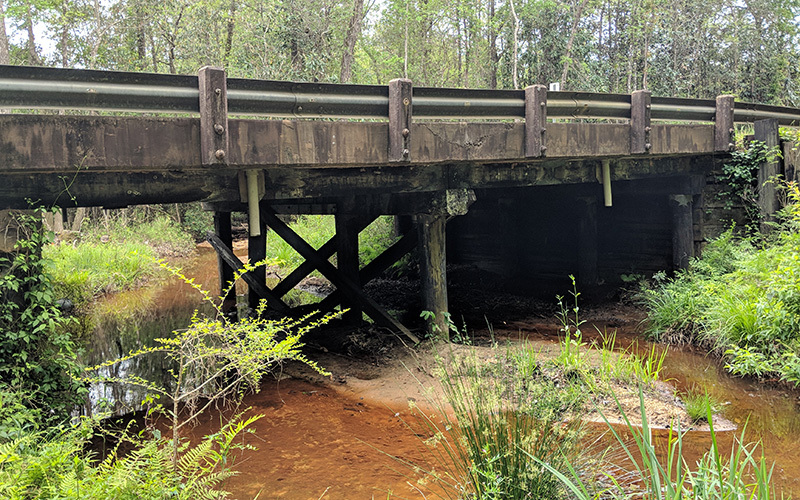 The Florida Department of Transportation will replace the structurally deficient bridge on Highway 168 over an unnamed branch. The new bridge will consist of two 12-foot travel lanes with 6-foot shoulders and a concrete barrier wall. A temporary bridge will be in place during the project. The new bridge will consist of two 12-foot travel lanes with six-foot shoulders and a concrete barrier wall. 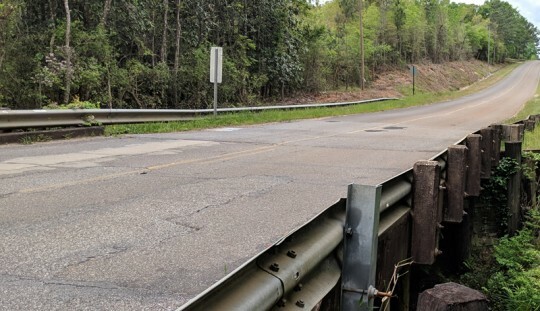 The project also includes resurfacing the approaches to the bridge, new guardrail, drainage improvements, new pavement markingsand enhanced signage. The current bridge was constructed in 1967.